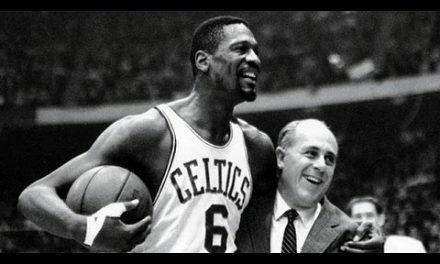 It was only a matter of time after the King’s departure from Cleveland that the franchise would begin its salary dump. With LeBron taking his talents to the Hollywood Hills, Cleveland will undergo a revamp centered around young talent out of the draft. The first name up on the list is sharpshooting specialist Kyle Korver. It’s no secret that the team has been searching for a suitor for Korver’s $7.5 million contract next season. They may have found a potential taker. 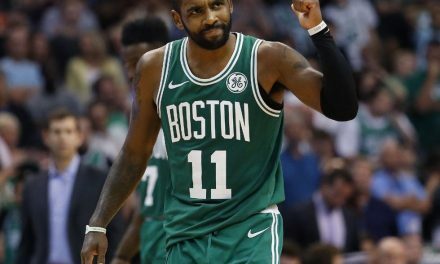 Sam Amico of Amico Hoops reported Tuesday morning that the Celtics are interested in obtaining the 37-year-old veteran. Cleveland is demanding compensation in the form of a first round pick in exchange for Korver. 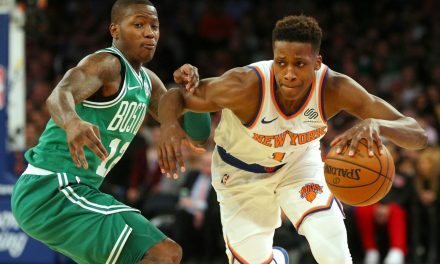 At this point in time it is unlikely that the Celtics would be willing to cough up an asset of that kind of value for the aging veteran. 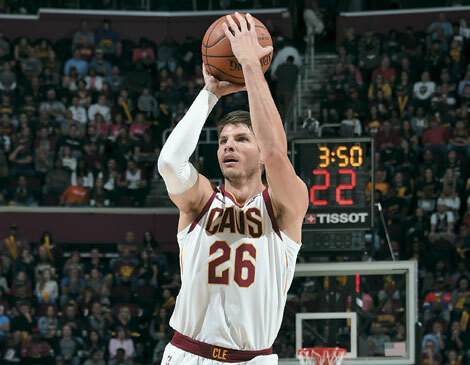 Korver is entering his 16th season in the league. In 2017 he averaged 9.2 points and 2.3 rebounds per game while shooting an absurd 43.6% from 3. The sharpshooter has made the long-ball his bread and butter throughout his career. There isn’t many out there that can do it better than him to this day. Korver does not rely on his athletic ability or speed to play his game, which bodes well for the longevity of his career. 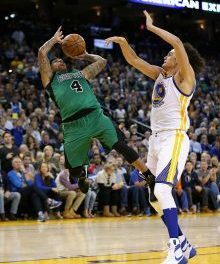 Boston ranked eighth in the NBA in 3-point shooting in 2017. While this stat certainly isn’t bad, it could use some improvement if the team wants to compete with the likes of the Golden State Warriors and Houston Rockets. Even at 37 years-old, Kyle Korver would certainly provide a boost to the team in this area. The news comes on the heels of reports of interest heating up for restricted free agent Marcus Smart. Both the Nets and Kings have reached out to Smart in recent days. Boston extended a qualifying offer to Smart worth $6.1 million through the 2019 season. It was reported that he was close to signing the offer, but with teams beginning to take an interest in Smart’s services it is unlikely such a deal gets done. Entering the offseason Smart made it clear that he feels he is worth more than $14 million a year. Boston has since been very vocal in their desire to retain him moving forward. Danny Ainge and the team’s front office is currently focused on Smart’s contract. If the team can’t match an offer and Marcus Smart leaves, adding a guy like Korver to fill his role could serve as a solid contingency plan. The team would be much more able and willing to take on Korver’s contract with Smart off of the books and roll the dice with the aging veteran. If Marcus Smart leaves town, don’t be surprised to see Korver’s name popping up on trade radars before summer’s end.